A center for railroad history and the gateway to the Blue Ridge Mountains, the city of Blue Ridge, Georgia is a family destination rich with outdoor activities and entertainment. Blue Ridge rentals feature roomy environments that compliment the open landscape of the region. You can explore the small town environment with a clear mind when you stay at Blue Ridge cabin rentals, take scenic rides up into the mountains, and appreciate the history, culture, and arts that define this mountain community. Slow the pace down with leisurely breakfasts in the mountain rentals Blue Ridge has to offer. Put together a lunch basket and head for the hills. At places like Lake Blue Ridge, you can have a picnic within the Chattahoochee National Forest where the entire family can appreciate the beauty of nature at its purest. The family can also experience an adventure of a lifetime by going whitewater rafting, hiking, boating, or horseback riding. Driving tours of the mountains are seemingly endless, and include drives on the Georgia Mountain Parkway. The Southern Highroads Trail also passes through Blue Ridge; you and the family can embark on a three-day trip through four states on this trail. Local to Blue Ridge are historical attractions such as the Blue Ridge Depot, a train station that is still in operation and the starting point of the Blue Ridge Scenic Railway. You can still take train rides out of this historic depot. The town's historic courthouse is now home to an art center restored with exhibits and galleries. Historically a commercial and health tourism center, Blue Ridge, the county seat of Fannin County, was known for its mineral springs and trains. The galleries as well as shops and restaurants now along Main Street are mainstays for a family getaway. Blue Ridge rentals are conveniently close to the action, making for a hassle-free family vacation. The staple foods when dining out are traditional Southern cuisine, but many gourmet restaurants are located in town and nearby as well. You'll find the best restaurants in the Blue Ridge Mountains here, strengthening the area's appeal as a family destination. Art galleries are plentiful along with various crafts shops selling woodwork, pottery, and more. With the money you'll save by staying at Blue Ridge cabin rentals, rather than a mountain motel room, you can purchase paintings, crafts, and other specialty products that will enhance the memories of your stay at Blue Ridge. Plan your stay at Blue Ridge rentals by booking early and scheduling your adventures both through the mountains and in town. This is much different than your average stay at a hotel or motel; you'll feel as if the family has a second home in the naturally and culturally rich mountains of Georgia. 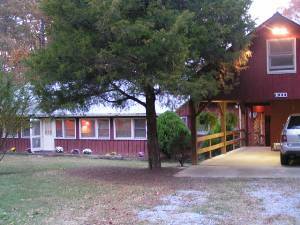 Combining luxury, comfort, and convenience, Blue Ridge cabin rentals provide just what you need for a relaxing getaway at an affordable price. Check out nearby Blairsville , Ellijay , Helen , Hiawassee , Lake Nantahala , Murphy , Robbinsville .